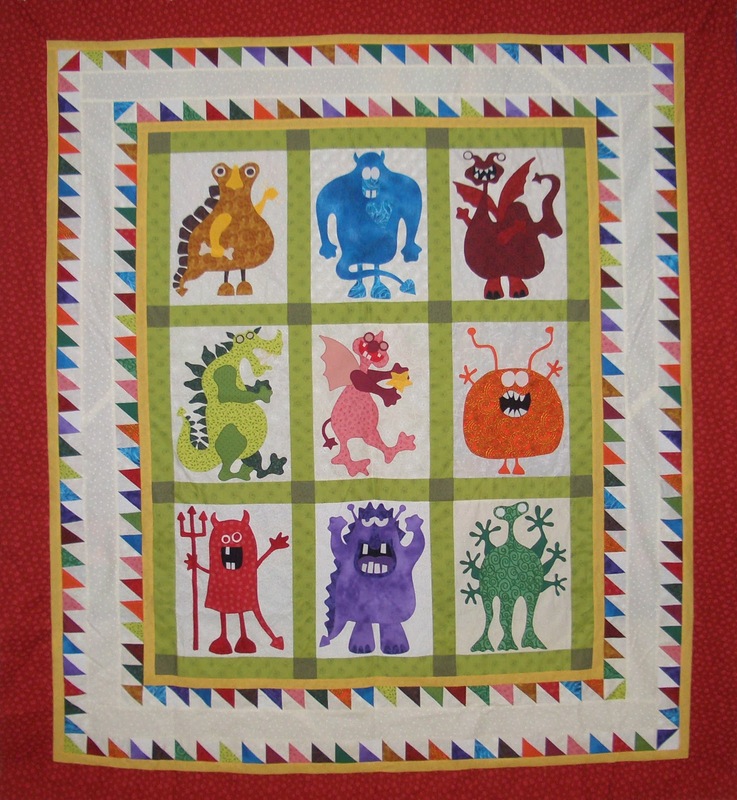 The Monster Quilt is finished!! It is so nice to have this one done and I really love it. And every night they must be fed. It puts them in the very best mood. Keep buying more fabric... or be dinner tonight! Bring on the next UFO! and don't forget to check out all the other finished UFO's at Patchwork Times. Fantastic finish! That's a lot of words around that border...a darling poem. that is adorable!! Love the idea of the poem on the border. I did two baby blankets that had poems on the border and it was awesome! So fun! I have that pattern, but haven't attempted it! Nice job!